ENJOY SPECTACULAR SUNSETS ON OTTERTAIL LAKE IN THIS CUSTOM BUILT NEW CHICAGO BRICK YEAR ROUND LAKE HOME/COTTAGE. 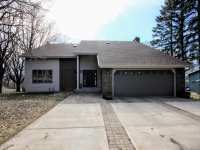 IT IS A 3 BEDROOM 4 BATH (POSSIBLE 4TH BEDROOM . 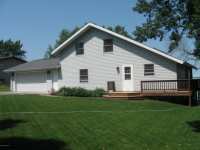 . .
OTTERTAIL LAKE, THIS HOME IS A MUST SEE 4 BEDROOM 4 BATH EXECUTIVE HOME ON OTTERTAIL LAKE AND RIVER. THIS HOME HAS ALL THE AMENITIES AND FEATURES A FIREPLACE, OVERSIZED . . . THIS HOME PLANS FOR ENTERTAINING AND WILL FULFILL THE WISH LIST OF TODAY'S MOST DISCERNING HOME . . . 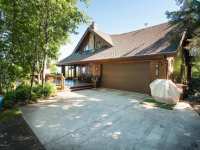 MAJESTIC NORTHWOODS FAMILY RETREAT ON OTTER TAIL LAKE! THIS YEAR-ROUND CUSTOM, RED CEDAR, . . . MAJESTIC NORTHWOODS FAMILY RETREAT ON OTTER TAIL LAKE! 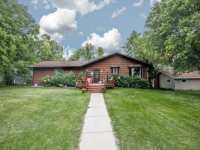 THIS RED CEDAR, LODGE-LIKE HOME OFFERS . 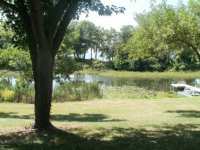 . .
OTTERTAIL LAKE - 180' GREAT SWIMMING AND LEVEL LOT IN A PARK-LIKE SETTING WITH BEAUTIFUL SHADE TREES. FAMILY COMPOUND WITH THE SOUGHT-AFTER CHARM OF A TRUE LAKE CABIN! . . . OTTER TAIL LAKE IS CALLING YOU AND THIS SPACIOUS 4 BEDROOM, 3 BATH CHARMER WITH 120 FT OF FRONTAGE IS THE PERFECT PLACE TO CALL HOME. THIS GORGEOUS HOME FEATURES A . . . VERY WELL MAINTAINED AND UPDATED CHALET WITH DOUBLE GARAGE AND SHOP IN LOWER LEVEL OF THE GARAGE ALONG WITH A 3RD STALL. THE HOME ALSO HAS A W/O LOWER LEVEL AND TWO . . . THIS IS A HIDDEN GEM!!! SPACIOUS 3 BDRM, 2 BATH ON 123 FT OF RIP-RAPPED SHORELINE AND A PRIVATE MARINA ON THE BACKSIDE (WATER ON 2 SIDES). HOME HAS GREAT VIEWS AND . . . THIS IMPRESSIVE LAKESIDE RETREAT SITS ON OTTER TAIL LAKE'S COVETED EASTERN SHORELINE. ENJOY THE SUNSETS FROM THE DECK OF THIS 4 BEDROOM, 3 BATH HOME WITH LOWER LEVEL . . .
WATCH THE BEAUTIFUL SUMMER SUNSETS OF OTTERAIL LAKE FROM THE FRONT YARD OF THIS RUSTIC SUMMER CABIN. 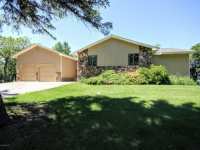 THE PROPERTY IS LOCATED IN THE CITY OF OTTERTAIL JUST A GOLF CART . . .
OTTERTAIL LAKE BEST OF BOTH WORLDS 118' ON OTTERTAIL AND 100' ON THE RIVER. 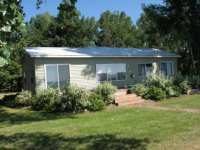 CABIN IS WELL MAINTAINED WITH NEWER KITCHEN AND BATH, 3 BEDROOMS 3 SEASON PORCH, LARGE DECK . 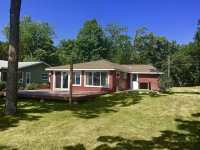 . .
SECLUDED 3 BEDROOM 2 BATH W/O CABIN LOCATED ON 200' OF OTTERTAIL LAKES WEST SHORE. THIS PROPERTY HAS BEAUTIFUL SUNRISES AND VIEWS ALONG WITH A TOTALLY PRIVATE LOT TO . 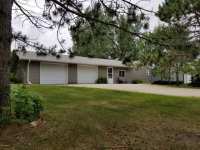 . .
OTTERTAIL LAKE UPDATED 2 BEDROOM CABIN ON A BEAUTIFUL LEVEL LOT WITH SUGAR SAND BEACH, LARGE MAINTENANCE FREE DECK LAKESIDE AND DETACHED GUEST HOUSE FOR COMPANY. THIS . . .
OTTERTAIL LAKE. 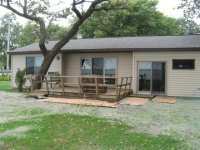 CUTE UPDATED 2 BEDROOM CABIN ON BEAUTIFUL LEVEL LOT WITH SUGAR SAND SWIMMING BEACH. 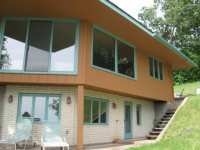 MAINTENANCE FREE DECK ON LAKESIDE AND DETACHED GUEST CABIN FOR . 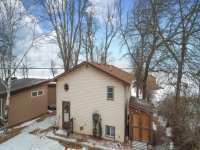 . .
LIVE YOUR LAKE LIFE DREAM WITH THIS ADORABLE 3 BEDROOM HOME SITUATED ON A LEVEL LOT WITH 50FT OF . 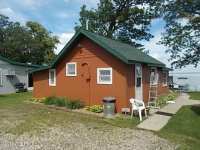 . .
WELL KEPT 3 BEDROOM 1 BATH SEASONAL CABIN ON PRIME 100' OTTERTAIL LAKE NO. SHORE LOT. WHAT A FIND IN THE MIDDLE OF LAKES COUNTRY!! 3 BEDROOM HOME WITH A BONUS ROOM,CUPBOARDS GALORE IN THE EAT IN KITCHEN AND LOTS OF GREAT'EXTRAS' WITH THIS YEAR ROUND HOME. . . .
DUPLEX ON OTTER TAIL LAKE!!! LOCATED AT THE LODGE ON OTTER TAIL! 365 FEET OF BEAUTIFUL SAND BEACH, GOOD WATER DEPTH FOR BOATS AND CRYSTAL CLEAR. THIS IS THE AFFORDABLE . . . 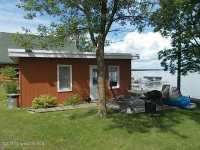 OTTER TAIL LAKE YEAR AROUND HOME, ALL ONE LEVEL LIVING FOR THIS 1 BEDROOM, 1 BATH HOME WITH ATTACHED GARAGE AND SAUNA. 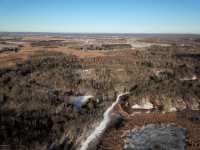 PLUS 200 FEET OF FRONTAGE ON THE OTTER TAIL RIVER. . . . 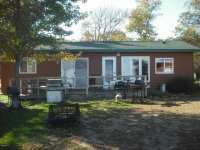 OTTER TAIL LAKE YEAR AROUND HOME, ALL ONE LEVEL LIVING FOR THIS 1 BEDROOM, 1 BATH HOME WITH ATTACHED 2 CAR GARAGE. 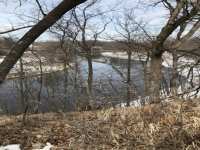 PLUS 200 FEET OF FRONTAGE ON THE OTTER TAIL RIVER. . . . 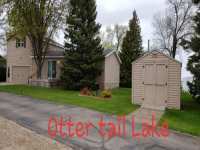 OTTER TAIL LAKE YEAR AROUND HOME, ALL ONE FLOOR LIVING FOR THIS 1 BEDROOM, 1 BATH HOME WITH ATTACHED GARAGE AND SAUNA. 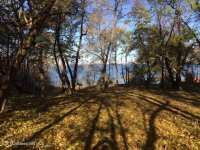 PLUS 200 FEET OF FRONTAGE ON THE OTTER TAIL RIVER. . . .
125' LAKESHORE ON OTTER TAIL LAKE! HARD TO FIND IMPROVED LOT READY TO BUILD ON!! AREA OF NEW HOMES, GOOD SUGAR SAND BOTTOM & GOLDEN SUNSETS! PRICED RIGHT & $33,000 UNDER . 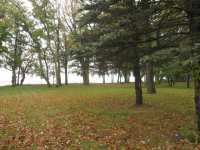 . .
OTTERTAIL LAKE LOT WITH 103' FRONTAGE AND LOTS OF GREEN SPACE. THIS LEVEL LOT AFFORDS GREAT VIEWS AND INCLUDES A BUNKHOUSE AND ARTIST'S STUDIO. THIS LOT IS APPROXIMATELY . 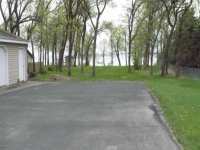 . .
OTTERTAIL LAKE 75' LEVEL LOT WITH 2 BEDROOM 1 BATH CABIN, 14X24 SLEEPING LOFT ABOVE STORAGE SHED. METAL ROOF, LAKESIDE DECK, NEW WINDOWS AND TARRED DRIVE. NICE LEVEL 100'LOT ON OTTERTAILS SE SIDE WITH ABOUT 10 TO 15' ELEVATION. 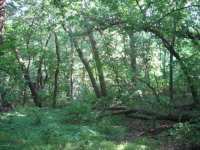 NICELY TREED LOT WITH BLACKTOP ACCESS. 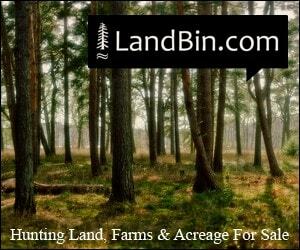 NICE BUILDING LOT IN OTTER TAIL CITY LIMITS. 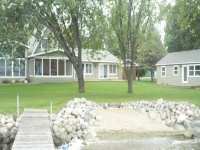 FRONTAGE ON THE OTTER TAIL RIVER AND FRONTAGE ON OTTER TAIL LAKE! ENJOY PERFECT SAND BEACH ON OTTER TAILS BEST BEACH. . . . 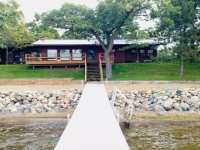 ENJOY OTTER TAIL LAKE UP CLOSE WITH THIS CABIN RIGHT ON THE LAKE. GREAT SAND BEACH, GREAT SWIMMING, AND GREAT FISHING! 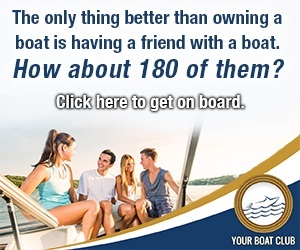 !THIS IS THE ECONOMICAL WAY TO OWN YOUR OWN CABIN . . . 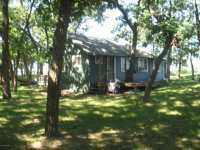 AFFORDABLE CABIN RIGHT ON THE SANDY BEACH OF OTTER TAIL LAKE!! GREAT SWIMMING, GREAT FISHING, GREAT PANORAMIC VIEW!!! 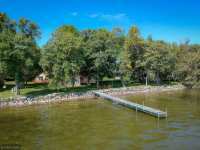 OWN YOUR OWN CABIN ON OTTER TAIL LAKE WITHOUT ALL . 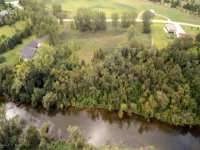 . .
BEAUTIFUL VIEWS OF THE RIVER ARE YOURS WITH THIS BEAUTIFUL PROPERTY. 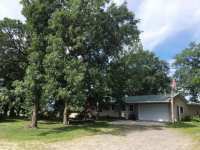 1.2 ACRES GIVES YOU PLENTY OF ROOM FOR YOUR DREAM HOME AND MORE. LOCATION IS CONVENIENT TO SEVERAL . 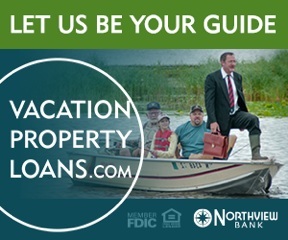 . .
38 Listings in Battle Lake MN ..
32 Listings in Fergus Falls MN ..
29 Listings in Frazee MN ..
57 Listings in Ottertail MN ..
For many of us, our annual family vacation may not feel like much of a vacation. We spend so much time running around trying to do and see everything that we end up returning to work more exhausted than when we started. Why not take a different approach this year? Find a spot where you and your family can truly relax and appreciate the extraordinary world around you here at the beautiful Otter Tail Lake in western Minnesota. The town of Ottertail is adjacent to the lake itself. Otter Tail Lake offers 13,725 acres of prime lake surface, perfect for fishing, boating, water-skiing and swimming. The lake is formally part of the Otter Tail Chain of Lakes. Big Pine Lake, Little Pine Lake, Rush Lake, East Lost Lake, West Lost Lake and Deer Lake are all incorporated in the Otter Tail chain. Motor boats, pontoons and jet skis are allowed on the lake. Otter Tail Lake offers approximately 21.7 miles of gorgeous lakeshore and its maximum depth is approximately 125 feet. The waters of Otter Tail Lake are extremely clear, with an approximately clarity depth of eight feet. When searching for the perfect Minnesota fishing destination, Otter Tail Lake is an ideal choice. The terrain of the lake bottom, including many bars, reefs and sunken islands make the waters a perfect breeding ground for northern pike, perch, smallmouth bass, rock bass, tullibee, white sucker, and, of course, walleye. Even if fishing isn't your ideal way to spend an afternoon, there are plenty of activities in and around Otter Tail Lake. Golfing here is spectacular. The Balmoral Golf Course is a 72 par course featuring numerous water hazards and lush, rolling scenery; the perfect backdrop for a relaxing eighteen holes. Balmoral offers a pro shop, sandwiches and even a week-long membership option for folks looking to play a lot of golf in a short period of time. Horseback riding allows visitors to explore the terrain and forests of north central Minnesota. Area riding stables offer group tours and tamer corral rides for smaller children. In fall, hay rides and horse and buggy rides allow people to embrace autumn as the trees turn from green to the golden, orange and red hues of the season. Shopping in the towns around Otter Tail Lake is unique and often charming. Antique shops with an array of vintage items can found throughout the region. Local farmers feature locally grown and produced jams, wines, cheeses, artisan crafts and countless other items in quaint markets. Depending on the season, visitors can pick their own blueberries, cherries, peaches or apples at a local orchard to take home a taste of the region. Local festivals such as the Phelps Mill Arts and Crafts Festival offer unique hand-crafted items created by the artists of the north central Minnesota region. Area towns include Battle Lake, Fergus Falls and Ottertail itself. Battle Lake hosts the annual Wenonga Days Festival, celebrating the rich Native American culture and lore of the region. Charming community activities such as the weekly turtle races in Battle Lake are sure to be memorable and unique for the smaller members of your travelling party. In Fergus Mills, visitors to the Otter Tail County Historical Society can tour the history of Otter Tail County from its early Native American inhabitants up until the present day. Visitors can explore Main Street as it existed one hundred years ago here in the city of Ottertail. The Otter Tail County Historical Society is also an excellent source for genealogical information. 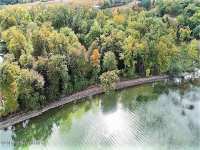 Area state parks such as Glendalough State Park and Maplewood State Park are terrific destinations for hiking, ATV riding, camping and the like. Inspiration Peak State Park is the second highest point in the state and overlooks three counties and nine lakes. Opportunities for outdoor recreation are bountiful here in the region surrounding Otter Tail Lake. If Otter Tail Lake sounds like the perfect destination for you and your family, why not consider the possibility of investing in a lake home or lake lot in this region? Many vacation cabins and homes are located on the water's edge, but it may be important to act quickly if the perfect option for you is put on the market. 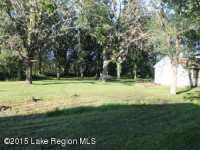 Properties sell quickly here due to the desirability of the lake. 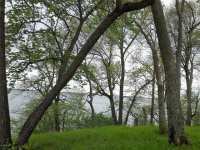 If you prefer, lake front lots can be a great way to invest in property and construct your very own dream home on Otter Tail Lake. While constructing your own home may be an involved and potentially more expensive process than buying a pre-existing property, it has the advantage of allowing you to tailor the design and materials to perfectly suit your living style and needs. In short, Otter Tail Lake is the perfect venue for everything from your next weekend respite to your vacation home destination!